Quickly for those who aren’t aware, at the start of 2016 we began our Bolt Action map campaign, based around and alternate Normandy invasion, everyone is invited: the US, British, Canadians, Polish, Chindits… every Allied nation can make an appearance and face off against any of the Axis powers. We run the turns of the campaign every other week at club. We kicked off the campaign by running a special themed game. We ran the “Bunker Assault” mission with the idea that the allies have just cleared the beaches and are clearing out the initial defences behind the shingle walls. In this mission the allied attackers have double the number of points as the Axis defenders, however the axis are in a prepared position with very open terrain and three lines of bunkers and hard cover. This mission was thematic only, it didn’t have an effect on the starting position on the map, it was there to introduce people to each other, and new players to the rules. The Allies rush onto the table. But the Axis stand ready to repel them. There were 4 tables of games going on that week. Due to the constraints of time with alot of people learning and meeting for the first time, the evening ended with a 3 to 1 win rate for the Axis… bunkers are tough! The first turn of the actual Campaign was the allies turn to attack and boy how they did! Starting with 5 sectors, the allies had multiple choices of adjacent territory to attack. They decided to large push down into the east to envelope the town of Caen, while at the same time making a route up north west, heading to the town of Cherbourg. Most of the battles were to take place in dense bocage areas, where line of sight lanes were restricted and close quarters fighting was brutal. One day, a pleasant village through road, the next… A battlefield! On one table German nebelwerfers bombard the enemy with rockets. While on another they hail them with shell. Not to be bested, an allied sherman takes on a Stuh and and Puma and comes out on top! The Axis gave a great fight and all fronts, but despite giving their best, all the games either ended in an allied victory or a draw (which due to the campaign rules mean the Allies gained all their territory. 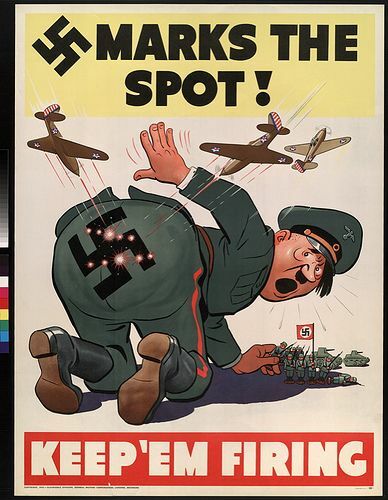 In the next phase it was the turn of the axis to strike back! With a strong turn out this week, there were 4 attack routes for the axis, right back into those three territories that were taken and one into the allied starting zone. The British swarm onto the beer in the early turns of the game, but get pinned down! One British squad bravely rushes forwards to hold up the first Germans on the scene as their brothers in arms retreat with the stolen beer. Giving them a win. Meanwhile on another table, an early game win for an American sherman knocks out the Finish Stug during the breakout mission. However the white death sniper and other finish teams spend the game extracting a harsh revenge, ending the game in a close draw. Meanwhile, German artillery hammers the British commandos during a Kittyhawk Down mission. All those Universal Carrier transports can’t take it, and leave the outflanking commandos out of range of the downed plane by the end of the game; A German victory! At the same time another plane has gone down, and the Japanese take on the joint might of the British and American armies in a race to the plane. Despite putting up a good fight and Diddy Mao’ing forwards like the best of them, the Japanese cannot get close enough to the plane under the joint firepower of the 2 allied players… conceding a victory to the Allies. So at the end of the Axis offensive there’s one win for the Axis, one draw and two loses. The campaign map now looks like below, with one re-captured territory in the north west and two Allied fortified zones near Caen. And that brings us up to speed. The next turn is the Allied attack on Monday 29th February. Hopefully see you all there!